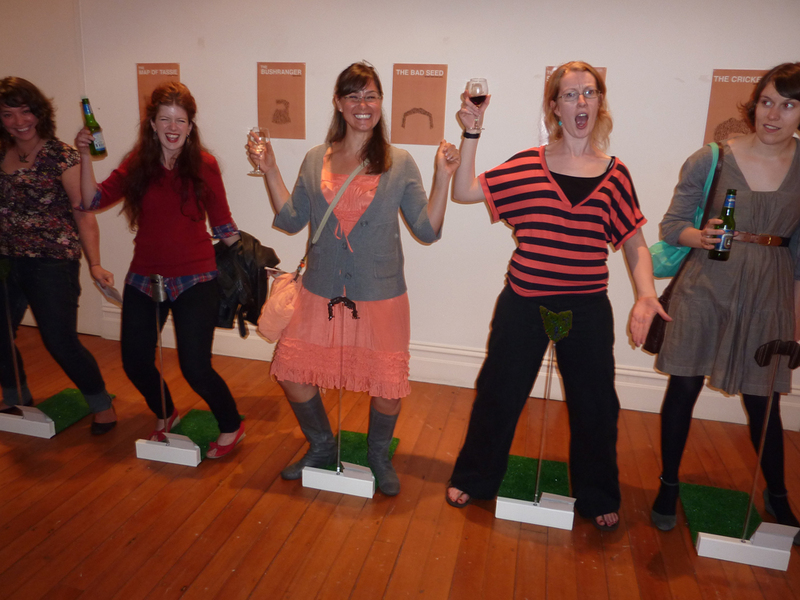 Katie Jacobs (with Britt Veitch) – Exhibition opening at Beardo!, people posing with Beards. The Shannon Noll: A soul patch bared, a touchdown made. The chartbuster from Condobolin ain’t no idle idol. Voted as Australia’s number 1 runner up. Audition your beard and savour the country flavour. What about me (in your pants)? Forged in the fires of the Australian bush – a steely defense against the relentless pursuit of the bluecoats, a valiant effort which can only fall short. Taken down in the Last Stand, out-gunned and out-manned, the iron spirit lives on. Unmask the outlaw within. Welcome to Kelly country. Nick Cave wouldn’t enter the Hall of Fame without his “Bad Seeds”. Commit to exploring the experimental and let your wild roses grow. Get in touch with your inner Cave. The Map of Tasmania: Across the tempestuous Bass Strait is a land of wild untamed delights, thick with virgin forest. The spirit of Tasmania is one of freedom, relaxation and pleasures untrammelled by modern day rules and restrictions. Take a look at the map of Tasmania before it’s too late to stop the wanton destruction. Tasmania is the Natural State. Don’t let it become a treeless wasteland. Say NO to deforestation. Improve your batting average and defend your sticky wicket. Emulate your heroes and remember – don’t get caught short mid off. Be a sport, debut your Cricketer this summer.